H.E. Majid Saif Al Ghurair, Chairman, Dubai Chamber of Commerce and Industry, with founder Ali Abdullah Sharafi at the launch of Garden Worx. Back in 2011, Ali Abdullah Sharafi decided to register his brick and mortar startup Garden Worx, and since then, he has successfully overcome two key challenges that many UAE-based entrepreneurs mention: finding the right team and wading through the necessary commercial licensing quagmire. The 30-year-old entrepreneur holds a Master’s in Professional Accounting paired with a Bachelor’s in Applied Finance from the University of South Australia, and has a professional background that includes employment at one of the world’s biggest auditing firms, all of which he has now put to work for his business. “My career and education within the professional financial services sector has enhanced my experiences tremendously towards mastering the processes required to sustain a business, making plans, and building financial models. In addition, my advisory background enables planning and strategizing the positioning of a business effectively.” Garden Worx will focus on both “buyers and sellers” by catering to home improvement enthusiasts. The startup aims to target residential communities that have a limited selection for their DIY project needs, and also seeks to address the needs of clients who need professional services in areas of household improvement but aren’t sure whom to contact. “Garden Worx will ensure that residents of the UAE have convenient access to home and garden improvement requirements through positioning outlets within the grounds of neighborhood community malls. 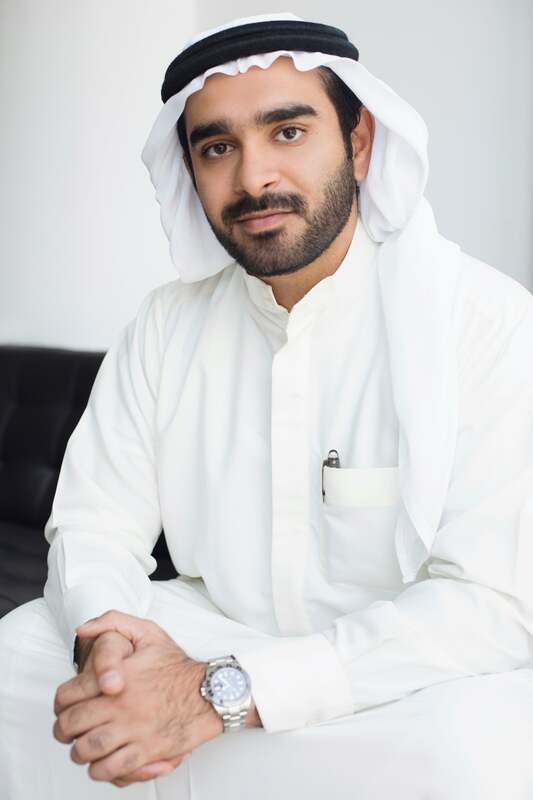 In addition, it will allow many home improvement service providers to be affiliated with us to use our retail infrastructure platform to offer quality services to residential households from multiple channels as we develop other branches,” explains Sharafi. Essa Al Zaabi, Senior Vice President of Support Services, Dubai Chamber of Commerce and Industry with other officials and Garden Worx founder Ali Abdullah Sharafi at the startup's launch. IN YOUR OPINION, WHAT IS THE BIGGEST CHALLENGE FACING ENTREPRENEURS? WHAT ARE SOME TACTICS YOU HAVE USED TO ENSURE THE SUCCESS OF YOUR BUSINESS? WHY DID YOU CHOOSE TO GO TO TEJAR DUBAI? WHAT PROCESS DID YOU GO THROUGH WITH TEJAR DUBAI TO SECURE ASSISTANCE? Tejar Dubai is a development program committed to nurturing potential UAE nationals into becoming entrepreneurs. Launched in 2013, the program identifies, develops, and mentors promising UAE nationals to expedite the growth of an embryonic business idea and advance it to the point of being ready for immediate implementation.